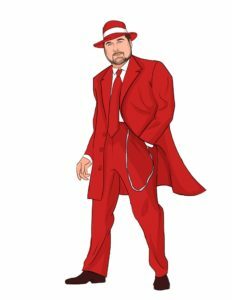 Join Lili VonSchtupp and Scratch as we chat about the BHOF ribbon cutting for the opening of Burlesque Hall of Fame Museum in Las Vegas, The Great Burlesque Exposition, and we talk frankly about producing with a group vs open casting. Scratch is the producer of the Boston Babydolls (now BeauTease) and The Great Burlesque Exposition. * 9/16 to 10/1: Applications are $20. You can load up on as many of these as you like, but if you don’t get around to submitting an act by October 15, you don’t get a refund on unused application fees. * 10/1 to 10/15: Procrastinators Applications are $30. You can load up on as many of these as you like, but if you don’t get around to submitting an act by October 15, you don’t get a refund on unused application fees. More details at the site. 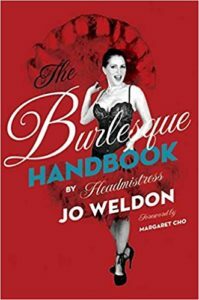 Join Chris Beyond and Lili VonSchtupp as we chat with Jo Weldon, author of “The Burlesque Handbook.” Taped Live At The Burlesque Hall Of Fame in Las Vegas, Nevada, 2010. Join Chris Beyond and Lili VonSchtupp as we bah blah blah about producing burlesque, the movie burlesque, and other things, from 2010. This was the action figure and stage Chris made for me.